How To Get Free Unlimited Data For Browsing On Glo Network. 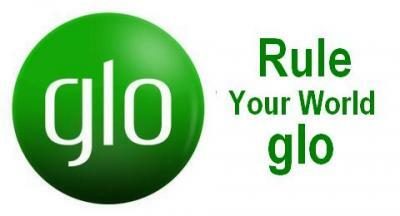 Hi Precious readers, Today am going to give you a nice trick on how to activate an unlimited browsing on your Glo sim. A lot of young guys especially students love free stuffs. Guys are always looking for an internet tweak to browse free. This eagerness among the student youth is absolutely normal as we always sort to cut cost and save some cash on internet bundles. Without saying so much, let's get to the main business here. This however is the latest tweak as of time of post. We will be updating you as and when new tweaks rear their heads. Step 1. Make sure to recharge your Glo SIM with at least N100 or ghc 10. Step 2. Dial *170*4# on your phone to migrate to Glo Bounce. Note that without Glo bounce activation this tweak is not gonna work. Step 3. Dial *127*51# to subscribe to Glo Smallie data bundle. Here the amount you recharged will be deducted from your account. Step 4. Now go to your phones network settings and change the Acess Point Name and username and password to be "gloflat" username & Password is "flat". Step 5. Now open your browser and browse the internet for about 25 minutes and turn of your data connection. Step 6. Make someone on Glo network to share his/her data with you by dialing *127*1*phone number#. That's all guys! Enjoy unlimited free browsing for a period of one year. Totally free...yes its free.